Today we are chatting with EnaiSiaion, creator of various outstanding Skyrim overhaul mods such as Apocalypse, Ordinator, and*Thunderchild﻿ - some of which have taken their rightful place amongst the most popular Skyrim mods of all time. <br /><br /><br />BigBizkit & Pickysaurus: Thank you for taking the time out of your day to chat with us. 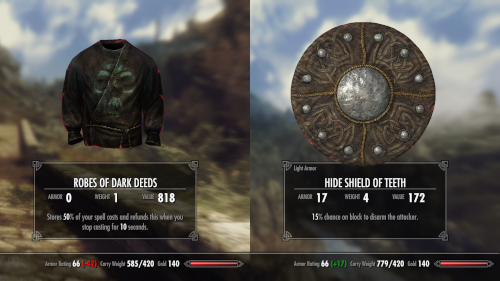 Most people who have played Skyrim are probably familiar with your work, but could you first tell us a bit about yourself? <br /><br />EnaiSiaion: So, I’m EnaiSiaion, I am Belgian, currently 34 years old and I started modding, technically, in 2001. I’ve been publishing mods since 2003, first for Diablo 2 - Median XL - I developed Median XL until 2013. 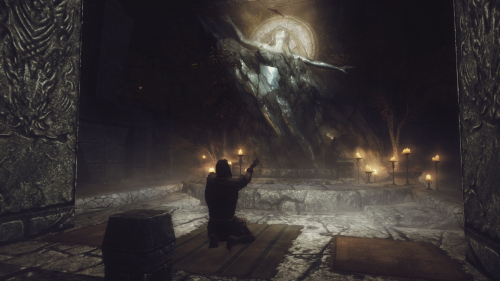 <br /><br />I started modding Skyrim in 2011 and I made the first releases of Apocalypse, then a bunch of mods that are best left forgotten, and then the big ones: Ordinator, Imperious and so on. <br /><br />So, basically, a lot of gameplay overhauls. And in the meantime I have been making some content for BallisticNG and a few other games. I used to work in HR, but I got my midlife crisis a bit early and I went back to school for software development. I am currently in the second year out of three. 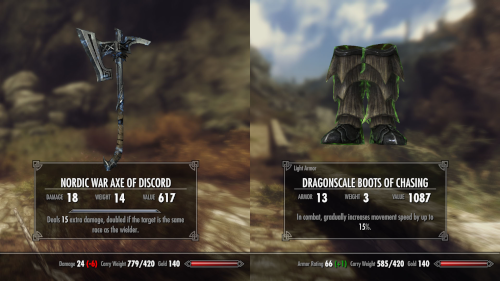 <br />Being the author of a number of impressive mods - as you mentioned - Apocalypse, Ordinator*and - of course -*Supersafe Dwarven Rocket Boots, is there a mod in your portfolio that you are most proud of? <br /><br />Apocalypse actually, at the moment. When I started out with Apocalypse in 2012 not much was known about Skyrim really and everyone’s scripting practices were terrible - even custom assets were brand new then. So, it was a completely different mod. Over the years, I have been updating it with my advancing insights into how modding should work. It is completely different now and I am finally happy with it. <br /><br /><br />The majority of your mods are massive overhauls. Projects that must have taken you quite a while to develop. What is it that, in general, drives you to making overhauls rather than, let’s say, story driven mods? <br /><br />I started out with a history of gameplay overhauls in Diablo 2. The various “Median” mods culminating in Median XL. So, I did have this experience already. I made a couple of items for Path of Exile back in the day as well. I tried to implement this directly into Skyrim because I felt Skyrim didn’t really have much in the way of gameplay. It was more of a storytelling game, a game about immersion. <br /><br />As it turned out, Diablo 2 didn’t really work well in Skyrim, so I had to tone it back over the years. It was to demonstrate that I could add gameplay to Skyrim - that I could make Skyrim a game with solid gameplay as well as story and mechanics. <br /><br />But these days it is more about the community. I think I have proven what I could in this regard. Plenty of people now know me, I can, just in general, hang out in Discord and have chats with people - it’s really about the community now. The faint hope of maybe someday getting hired in the gaming industry is a driving force as well. <br /><br />It is actually very noticeable that you offer wide ranging support for your mods and that you take user feedback very seriously. In that vein, what is your general outlook on modding? <br /><br />It’s a hobby for me. It is a way to express creativity. <br /><br />As for a higher purpose, I think, modding in the past used to be all about expressing creativity - just playing around having fun with the game, and putting your own stuff into the game and so on. <br /><br />I think going forward it is going to become more professional now that there are more options for people to build a portfolio - a public portfolio - and get hired by companies. I think more people who are actually looking for this experience - basically a free internship - are coming to modding and, I think, it is going to change modding a bit. <br /><br /><br />As you stated before, you have been involved with modding as early as 2001 and you made one of the most popular overhaul mods for Diablo 2. Can you tell us a little bit about that and what you have learned over the years? <br /><br />Important things I took home from that experience were: Firstly, your users’ experience is one of the most important things ever. Back in the days you had a lot of Diablo 2 mods made for a specific patch. And then a while later, I think it was about a year later or so, you had another Diablo 2 update. But these were actually significant updates. All of the files changed and it was basically like going from Oblivion to Skyrim. Most mods around didn’t make that leap. They just said to the user: “In order to play our mod, you should uninstall the game, then you should reinstall it, and then you should patch it up to a certain level”. <br /><br />I did sacrifice a number of features in order to avoid having to do that. I made the leap where necessary and as a result Median XL was a lot easier to get into than most other mods. I think this made a huge difference when your users who came into the mod scene wanted to play a mod and here was one they could use immediately, and here was one that required them to play disc jockey for 45 minutes. So, there’s that. <br /><br />The other thing I learned was listening to user feedback. In the end if there were - I think then it was, like, 100,000 users total, so maybe 10,000 at any given time - they are going to know more than you do. So, keep your eyes peeled, or, keep your ears open, or what’s the expression in English? Anyway: Listen to the users. <br /><br /><br />Seeing how you started creating mods for Diablo 2 in the early 2000s, what was it that initially brought you to Skyrim? Have you modded any of the older Elder Scrolls titles? <br /><br />I joined the scene with the release of Skyrim, mostly because I was too busy modding Diablo 2 and was only just getting my career started when Oblivion came out. I didn't consider RPGs back then because they'd require a ton of time to get the most out of and I didn't think I'd have the time to invest into it. Diablo 2 was eventually declining so when a new moddable game showed up, I jumped on that. Also, the reason I modded Diablo 2 was because it needed modding, it was a diamond in the rough, and Skyrim was similar when it came out. 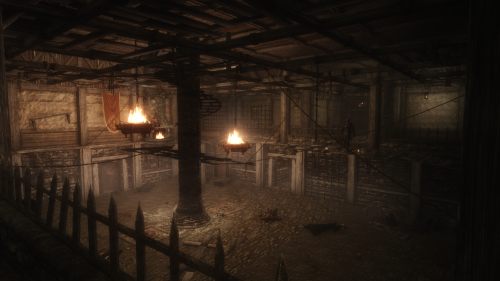 <br /><br />Both games had somewhat flawed gameplay mechanics but enough levers to fix that or at least add more mechanical depth, while the game itself is good enough to make it worth doing. If a game is really good, across the board good, then there's no reason to mod it really, but Diablo 2 had somewhat simplistic gameplay because it was the year 2000 and Skyrim has all those mechanical puzzle pieces but all you really do is pick an attack and click a lot. I saw Skyrim as another Diablo 2 but now with more options to mod it instead of having to use the frozen orb move function for everything and 1023 records per file. So I took my Diablo 2 mindset into Skyrim, made a couple of terrible mods, then figured out what people are actually looking for in Skyrim and that it wasn't strictly mechanical depth but first and foremost some form of immersion. <br /><br /><br />Your username is very unique and we’ve heard many mispronounced versions of it (including ours). So, how do you say it, where did it come from, and does it mean anything special? <br />It’s pronounced “Ee-nay Sha-yon”. Technically it is pronounced every letter separately but you can call me “EenayShayon”. It is actually an honorific of God in Enochian. In 2007 I used to be a lot more edgy than I am now today. Now, I just go by Enai - it’s memorable, it’s four letters, and it’s easy to write. <br /><br />Outside of modding and gaming, what are some things you like to do for fun? <br /><br />Ehm, nothing. For the longest time I alternated between dong my job - an HR desk job, back in the days - and modding basically all of my free time. Things have changed a little bit lately - I got my midlife crisis. The other thing I do for fun is software development. I am a software development student. It is fun to do even outside of school hours. <br /><br /><br />When you look into the past when you had more time: what are some memories of games that you can recall to this day? <br />I am a kid of the 90s so my most memorable games were in the late 90s. I was young, impressionable, and had just bought my first computer. Those games being Wipeout, the Wipeout series, futuristic racing games. Also, the first Diablo - I was impressed by the mood it set and its gameplay as well. Nowadays, the gameplay doesn't really hold up, but back then it was really cool. Twisted Metal - games like that. 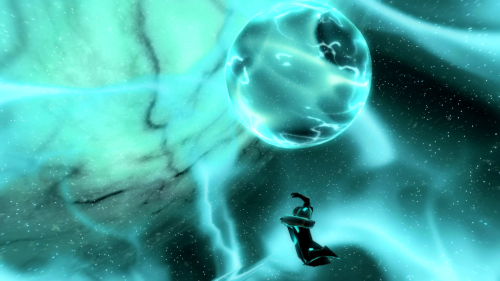 <br /><br /><br />You used to work together with T3nd0, author of Skyrim Redone, on a mod called Wintermyst - Enchantments of Skyrim. Can you tell us a bit about the collaborative process? <br /><br />It was more of a division of labour, not a straight collaboration. The goal was to integrate the new enchantments added by Wintermyst into the game, which meant adding them to drop lists, which meant creating some 6000 or 7000 enchanted items. I wasn’t really looking forward to this, but T3nd0 was in the process of working on PerMa (Perkus Maximus) and he was working on an external tool that would generate items based on your load order. He gave me an early version of that tool, I ran it, I fixed the output, and I put our names on it. 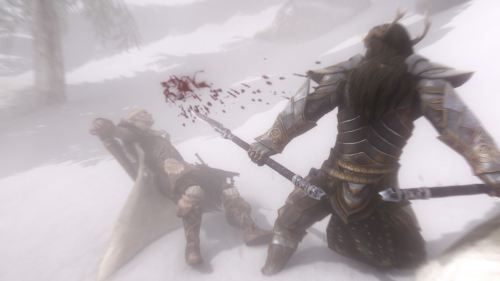 <br /><br />Ravengate was your first story-driven mod for Skyrim. What prompted you to deviate from your usual overhaul mods? <br /><br />It was not my first quest mod, it was my third, which just says how forgettable the other two were. Dwemertech and Spectraverse - I misadvertised them as spell mods, I think, and they weren’t really all that good in the end. <br /><br />Anyway, the Creation Club had just been announced, some mod authors were in it, I was not, and it turned out that I made the wrong kind of content, basically. One of Bethesda’s community representatives posted on the forums that they were looking, in the first place, for artists and world builders. I had overhauls. So, I decided “maybe there is still time, maybe there is still time...” so, I jumped into Ravengate, I worked very hard on it for two months - I missed the deadline several times - and then it turned out to not really make that much of a difference in the end. But it was fun to make. <br /><br /><br />Being one of the most popular mod authors out there, what are your thoughts on the Donation Point system that we recently rolled out? <br /><br />It’s a more - how do I say it - a more “people centric” approach to the idea of donating to authors. Until 2015, donating to authors was - I believe - actually banned by Bethesda, or, rather: no one did it. There was the bleepstorm surrounding “paid mods” and in the meantime people have been setting up their Patreons. Officially, you couldn’t really advertise your Patreon and people were contorting themselves to make them "not about their mods", you know. <br /><br />I think the Donation Points system is a good way to make things “official”. So, authors can just work on their mods and not feel like they are doing it for basically nothing. It’s a way to reward them in another way than just endorsements, so it is not all about those endorsements. <br /><br />Is there anything else you would like to tell the community about yourself, future plans, or - just in general - anything you would like to say? <br />It has been interesting to see the modding community evolve over the years. I’ve been making mods for years now, I’ve been there at, basically, the beginning. It is interesting to have seen this evolution over the years. When it started out it was basically an offshoot of cheating. The mod scene literally originated in the cheating scene. At first you even had a hard time convincing people that your mod was not just a way to cheat at the game and then over the years it slowly became a bigger thing. <br /><br />Games like Oblivion, of course, brought it into the spotlight. And then Skyrim was “modding for everyone”, basically. Even people who didn’t use mods, they knew there were mods for Skyrim, they knew about the Nexus. I think that was the golden age of modding. It was a great time, but I think going forward, things are going to change: it is going to be more professional, it is going to be more about building a portfolio, as I said. <br /><br />Developers will pay more attention to what happens with their games and the mods people make because in the past you had things like Dota that ended up actually harming Blizzard by competing with their strategy series and actually outcompeting them. Basically. Starcraft 2 failed because of Dota - stuff like that. I think going forward developers are going to realise that there is lots of creativity, lots of imagination in the mod scene that’s difficult to cultivate and they are going to set it up in such a way that the mod scene can work for them and can create value for them. <br /><br />Thank you very much, Enai, for your time, your mods, and for chatting with us. <br /><br />Thank you very much, too!